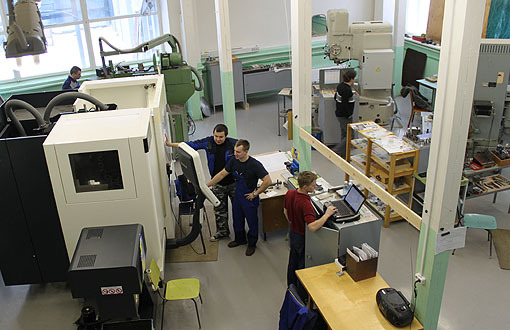 Scientific and technical activity of NII OEP is closely connected with progress in pilot production of optical devices. 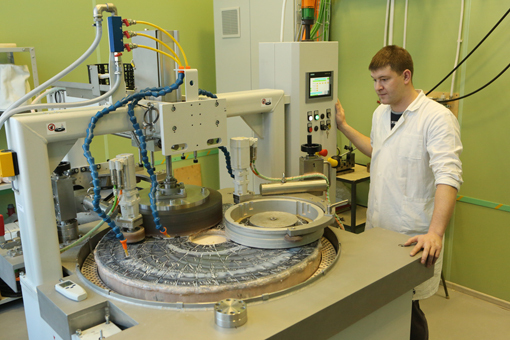 Nearly all the Institute test-benches have been created by our specialists. Manufacturing facilities were based on development, manufacture and testing of pilot models of purpose-made optoelectronic equipment, low-volume output of optical components and sub-assemblies. design and manufacture of custom-made facilities. Particular attention is given to the advanced methods of product quality assurance. In all production divisions, a quality management system has been introduced that meets the requirements of GOST R ISO 9001-2001 and GOST RV 12.002-2003. 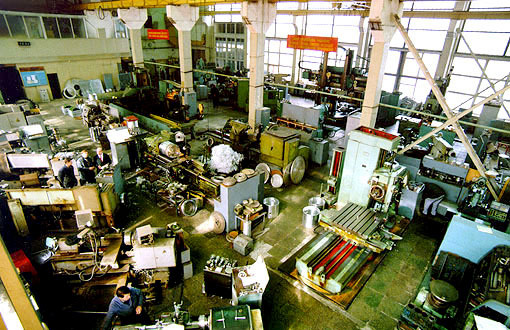 Quality control of manufactured products under the State Defense Order covers the entire production cycle from technological approval of design documentation to release of products. 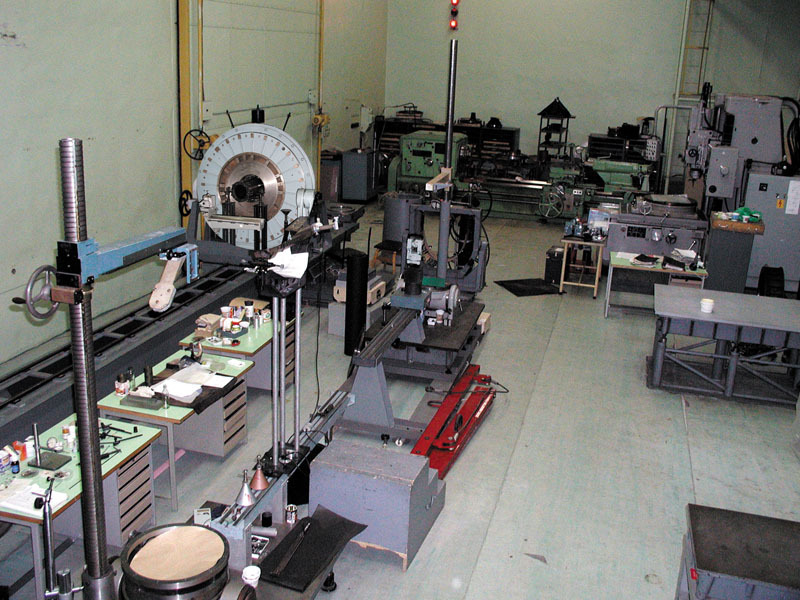 Within the framework of the Federal Program for Development of Defense Industrial Complex and at the expense of its own resources, the company implemented a number of projects for the reconstruction and technical re-equipment of production facilities for organizing the small-scale production of units and elements for special optoelectronic equipment. 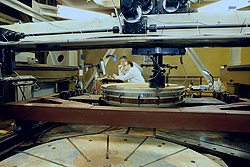 the element base of high-power lasers and laser complexes, including large active elements for superpower lasers. Automatic shaping technology of aspheric (including off-axis) optical surfaces using a small tool on glass, quartz and vitreous ceramics, silicon, silicon carbide, invar. Manufacture of optics from metals and alloys, poly- and single crystals, polymer and other materials with aspheric, conical and polygonal surfaces by diamond turning. Technologies allow the optical parts for lightweight structures to be manufactured , including the presence of elements of fastening and decoupling from mechanical and thermal deformations. 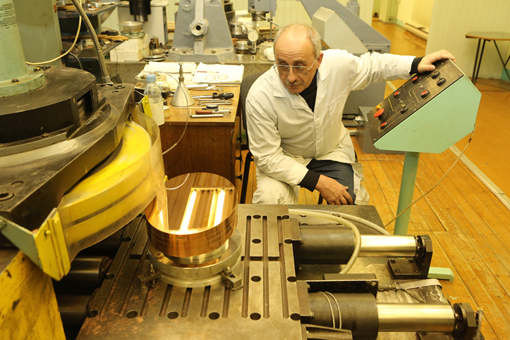 Manufacturing of resonant and transporting mirrors of chromium bronze with a microchannel cooling system intended for high-power lasers. The technological process is introduced into production and successfully used to manufacture laser power mirrors with various shapes of the optical surface (flat, spherical, aspherical). The maximum dimensions of the products are 320x230 mm, weight is up to 27 kg, the standard deviation of the surface shape is no more than 0.1 μm. Polishing of active disc and rod elements made of phosphate glass with neodymium with light apertures 200x200 and 140 mm, respectively, including methods for monitoring the surface quality.